Facebook Founder and CEO Mark Zuckerberg speaks on stage during the annual Facebook F8 developers conference in San Jose, Calif., April 18, 2017. Facebook says the data of more than 620,000 Canadians was likely shared improperly with a political consulting company. OTTAWA — Facebook says the data of more than 620,000 Canadians was likely shared improperly with a political consulting company that is at the centre of an international uproar over the use of social-media information for political purposes. In a statement today, the social-media giant estimated 622,161 Facebook users in Canada had their data improperly shared with Cambridge Analytica through apps used by themselves or their friends. 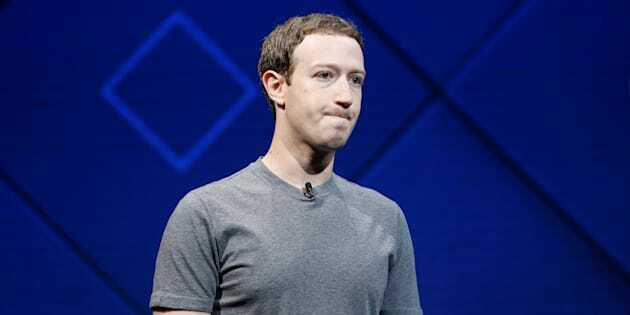 Overall, Facebook says 87 million of its users were affected — with nearly 82 per cent of them were believed to be located in the United States. Cambridge Analytica has been accused of using crunch data that was collected without users' authorization to help Donald Trump's 2016 presidential campaign. After word of the breach surfaced last month, Canada's privacy commissioner launched an investigation to determine whether Facebook respected the federal privacy law covering private companies. Canada's acting minister for democratic institutions has also said he'd be open to strengthening federal privacy laws, which don't currently apply to political parties. To address concerns, Facebook announced new plans Wednesday to restrict data access on the platform and to better protect users' information.